When I arrived home from the Hope-A-Thon last month, I had an almost finished Tensfield hat. It only took a few rows to finish it up. The yarn is Cascade Tangier and was leftover from the Wildflowers Shawl I crocheted a couple years ago. It was the perfect yarn for this pattern. Tensfield is so clever. You start by working back and forth, knitting a triangle. The piece is then joined in the round, but you keep working in rows (short rows to be exact) to shape the hat. 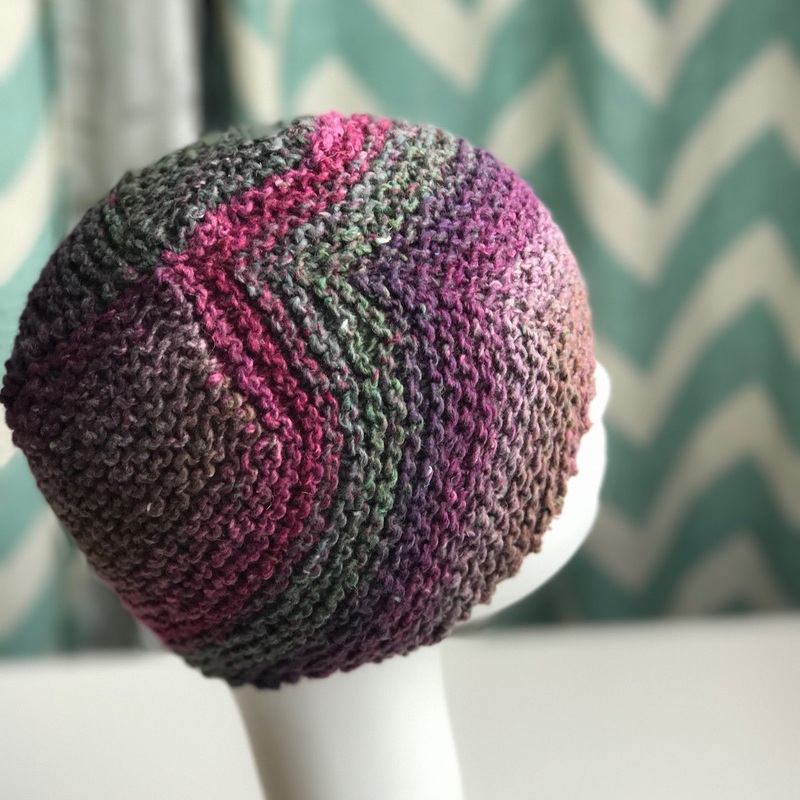 It was super fun and quick to knit and I think it's going to be my go-to hat pattern for chemo cap knitting. I've added this hat to the growing collection of hats I've received for my Summer Hat-A-Long. 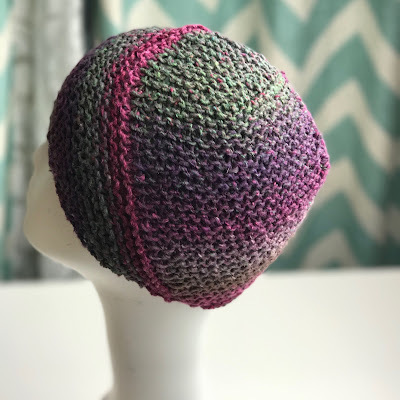 If you haven't knit a hat yet, you can read more about my chemo cap collection project in my Ravelry group! I'd love to send a whole bunch of Tensfield hats (or whatever hat you want to knit or crochet) to the nearby cancer center!